On Friday night the Mustangs traveled to North Adams High School to take on the Green Devils. The Mustangs improved a lot and competed well throughout the contest, even taking the lead early in the first quarter. After one quarter of play the Green Devils led the visitors 15 to 8. The Mustangs had cut the North Adams lead to four points when a 12 to nothing run near the end of the second put the Mustangs down 33 to 17 at the half. The Mustangs would cut the lead to ten at one point, but played even with the Green Devils score wise in the second half. The final score saw the Mustangs fall to the Green Devils by a score of 58 to 42. Leading scorers for the Mustangs were Raymond Conner and Noah Miller with 15 points each. Conner grabbed 12 rebounds, and had three assists, three steals and one block. Miller grabbed three rebounds, had one assist and two steals. Blake Marcelino and David Giordano each had four points. Marcelino added two steals to the contest, while Giordano had four assists and three steals. Andrew Cumberland and Brady Minton rounded out the scoring with two points each. Cumberland had an offensive rebound and an assist. Minton had one rebound and three assists and two steals. Tyler Stevens added a rebound and steal to the Mustangs. Last Saturday, February 2, the Mustangs traveled to Eastern Brown to face the Warriors. Hot shooting from the Warriors early on saw them take the lead and never look back, as a 30 point surge from the Warriors was enough to put them ahead for good. The final score of the contest was 80-29 in favor of the host Warriors. Raymond Conner led the Mustangs with 14 points on the evening. Conner also grabbed 7 rebounds. Noah Miller was next as he had nine points. Miller made three two point field goals and one three point field goal. David Giordano followed with three points, as he was three of four from the free-throw line. Andrew Cumberland scored two points of one two point field goal. Cumberland was also 0 for 2 from the free-throw line. Tyler Stevens rounded out the scoring with one point as he was 1 of 2 from the free-throw line. Eastern was led in scoring by Marcus Hamilton with 12 points. 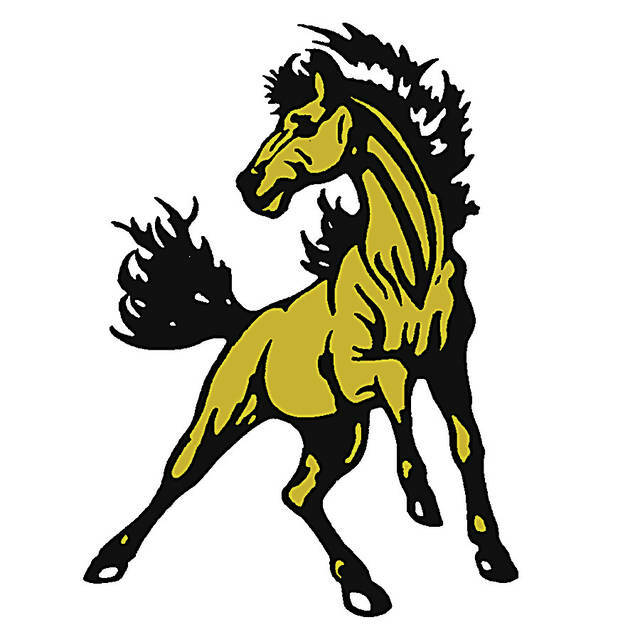 The Mustangs will next be in action tonight as they host the visiting Wildcats of Blanchester High School. Freshmen start time is 4:30 PM as it will be the pee wee cheerleader clinic tonight. The clinic will take place before the start of the varsity game. Matt Carson, the Lynchburg-Clay Mustangs’ Head Coach, submitted this story.